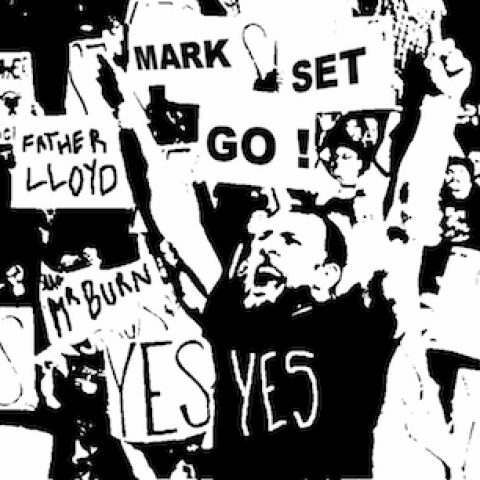 TURNing Our Sights To Summerslam?/This Week In WWE – Welcome to the official home of the Mark Set Go Podcast! Monday Night RAW began with a downer. Earlier in the day the wrestling world was shocked at the sudden death of Jim “The Anvil” Neidhart. This of course changed the plans of the show as his daughter Natalya was scheduled for a match against Alexa Bliss, but she of course was with her family, and Ronda Rousey held back tears to give a heartfelt speech about what a father is, and her overwhelming support for her friend. This all led into a new match between Ember Moon and RAW Women’s Champion Alexa Bliss, after Rousey dismantled the champ’s personal security. Moon got the win here after interference by Alicia Fox. “Constable” Baron Corbin defeated Tyler Breeze. Finn Balor and Braun Strowman defeated Jinder Mahal and Kevin Owens in tag team action. Bobby Lashley destroyed Elias’ number one fan Ricky Roberts, after the latter hit Lashley with his guitar. The B-Team retained their RAW Tag Team Titles over The Revival and The Deleters of Worlds. Paul Heyman feigns friendship with Roman Reigns to allow Brock Lesnar to dismantle his Summerslam opponent. Bobby Roode and Titus Worldwide defeated Mojo Rawley and the Authors of Pain. Ruby Riott defeated Sasha Banks. Throughout the majority of the show we were shown backstage segments featuring Intercontinental Champion Dolph Ziggler and his partner Drew McIntyre awaiting the arrival of Seth Rollins so that they could sign the contract for their match at Summerslam. In the show’s closing segment, we had Ziggler, McIntyre, and RAW GM Kurt Angle in the ring ready to sign, and if Rollins didn’t show would be forfeit the match. In the last moment of course, he showed up and said that he was waiting for a specific someone to show up and back him up at the ppv, as the contract stated that if McIntyre was in Ziggler’s corner, Rollins could also have someone. It’s been a long time since we have seen him, none other than Dean Ambrose made his return and helped laid waste to the team of heels. It looks like he went to Tommaso Ciampa route while he was rehabbing his injury and got absolutely jacked. He also changed his hairstyle and well as his beard. WWE always has surprises for us, and I wouldn’t be shocked if this is the new heel look for the Lunatic Fringe (he looks more the part now than ever), and for him to start another program with his former Shield brother in the near future. The three competitors for the Smackdown Women’s Championship faced each other in the ring one last time before their match at Summerslam. Carmella is one of the best heel promos on the roster in my honest opinion, and it is what is keeping her interesting in this feud between Becky Lynch and Charlotte Flair as she will never be on par in the ring as the them. She did her best to turn the two friends on each other, but to no avail. Lynch stated her frustrations with her career since the last time she was champion, and Flair went for the jugular by stating that Carmella was a “diva living in the women’s world”. That was a great line, as Carmella doesn’t completely fit the mold of great in ring performer as a lot of the women in WWE right now, but she completely owned it, which was fantastic. This whole ordeal led to a tag team match pitting Lynch and Flair against Sonya Deville and Mandy Rose. Our tea drinking best friends go over. The Bludgeon Brothers beat up local jobbers and the match never starts. The New Day defeated Sanity. Andrade “Cien” Almas defeated Aiden English. Jeff Hardy defeated Shelton Benjamin in a fun match between to veterans. Samoa Joe uses AJ Styles’ wife to taunt him ahead of Summerslam. The WWE has so much money on their hands right now, and I hope they don’t screw it up. We got a three-part series throughout the show that highlighted the history of the relationship between The Miz and Daniel Bryan. The first showed Bryan’s upbringing in the early days of NXT with Miz being his mentor. This was followed by the time with Bryan as GM of Smackdown Live and the hijinks with Miz on his roster, especially the infamous Talking Smack moment. It concluded with Bryan’s return to the ring earlier this year. I reiterate the money they have on their hands. This is the most organic feud that they have had in years, and in turn took years to fully develop. This is much more suited for WrestleMania, but it gives Summerslam the much-needed high profile matchup. Hopefully, this continues after Bryan potentially re-signs with the company. Lio Rush defeated Akira Tozawa. Hideo Itami defeated a random jobber. Cedric Alexander defeated Jack Gallagher. The Street Profits defeated The Mighty. Kairi Sane sent a message to Shayna Baszler (who was on commentary) in her victory over Aliyah. EC3 confronts Velveteen Dream in the ring ahead of their matchup in Brooklyn that comes to blows. Aleister Black is officially removed from the NXT Title match at Takeover: Brooklyn 4. An investigative piece dives into who was near the scene of the attack on Black the previous week. Tyler Bate defeated Roderick Strong.